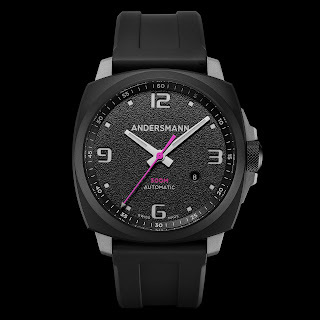 Here’s Andersmann mixing things up a little with their latest model, the CLASSIC which is now available in a striking new DLC series with a hot-pink seconds hand and WR text as an option along with more traditional to black or blue. 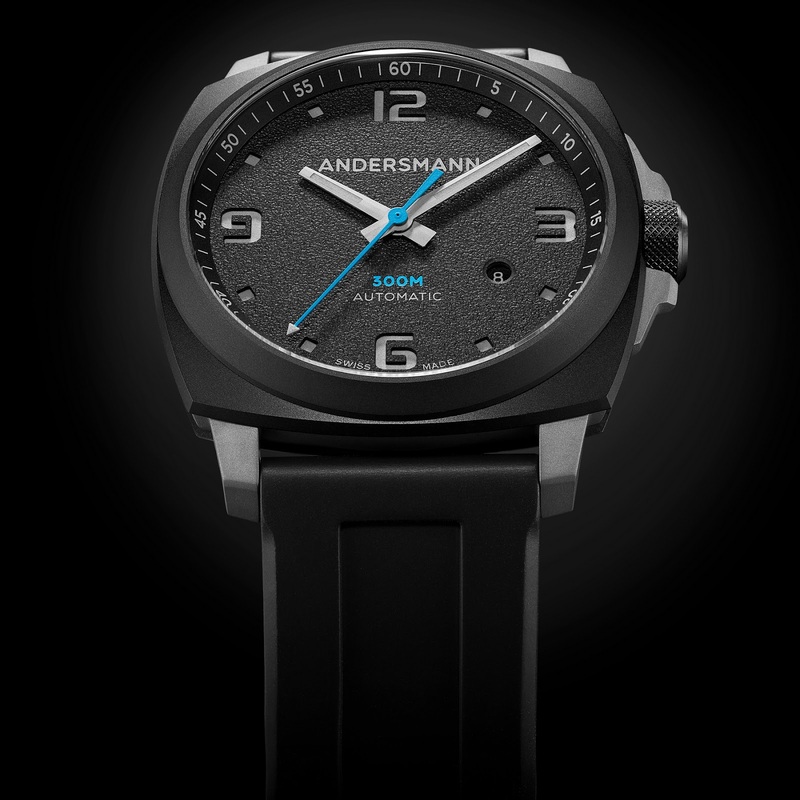 We took a look at the Andersmann Classic towards the end of last year – the watch is a fixed bezel divers / nautical watch with 300 meters of water-resistance. The Classic DLC has a special multi-layers Titanium case with a black DLC finish on the bottom and top tiers while its core is in bead-blasted Titanium to create contrasting sandwich effect. 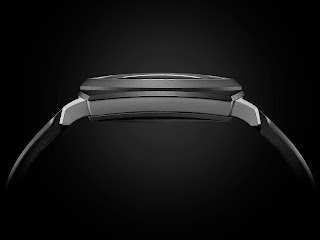 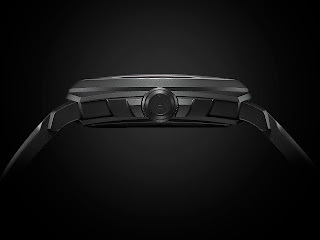 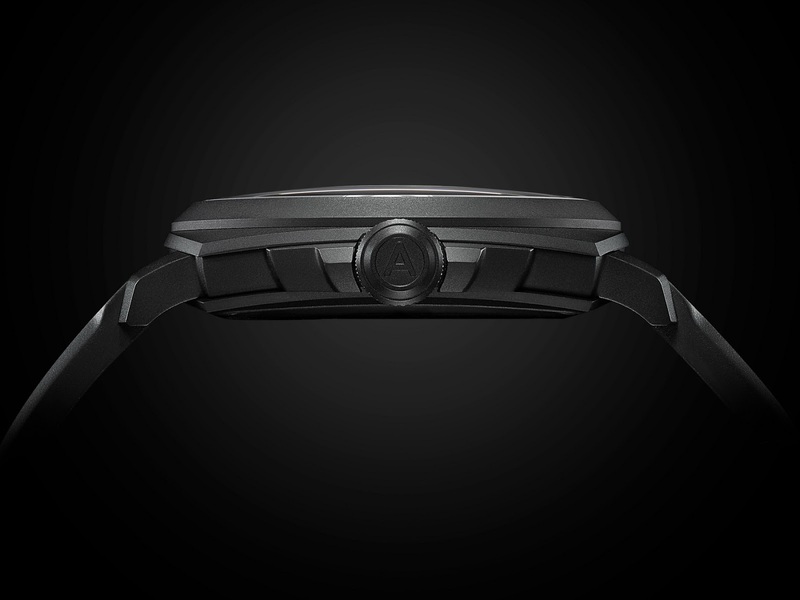 Dimensions of the case include a diameter of 44mm and a thickness of 12.4mm – while lug width is a generous 24mm. The Classic DLC’s 300m water-resistant case is fitted with a 3.8mm-thick double-curved Sapphire crystal with an-anti reflective treatment. 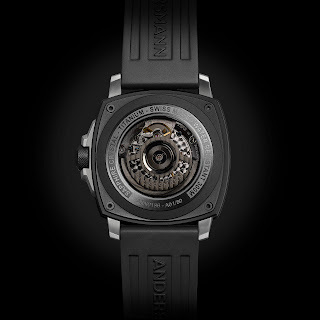 An additional 1.7mm-thick Sapphire crystal can be found underneath – affording a view of the Classic’s Swiss ETA 2892 A2 automatic movement which has features a custom engraved rotor. 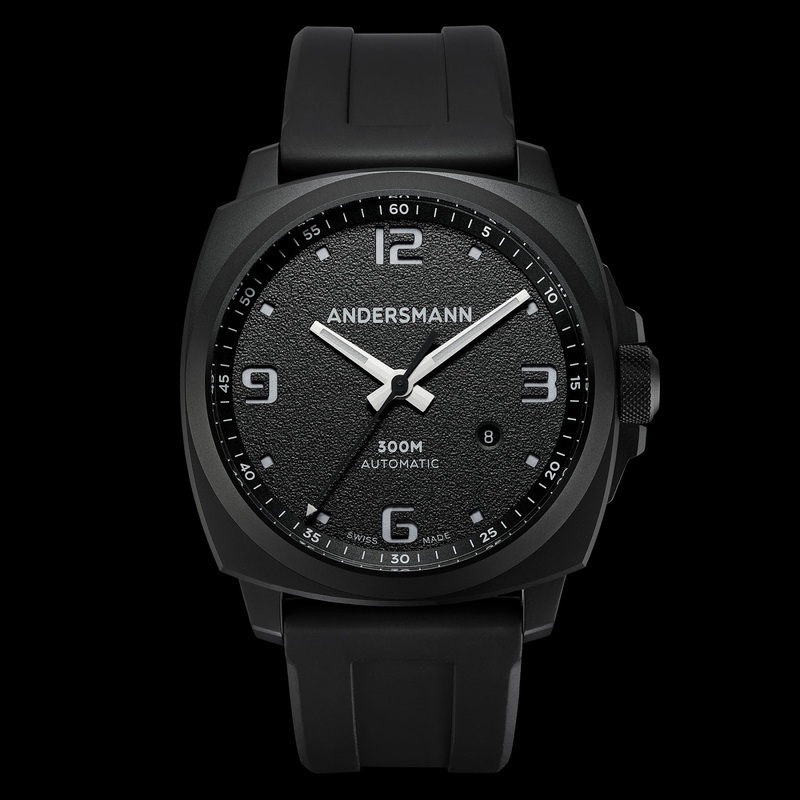 The Andersmann Classic DLC boasts many of the brand’s signature design cues such as its knurled screw-down crown and texturized sandwich dial. The dial can be configured with a three different colored sweep-seconds hands: black ANN198, blue ANN186 or pink ANN182. The Andersmann Classic comes in FKM rubber divers strap with an engraved Titanium tongue buckle priced - CHF1430 / CH1480 (all-black version). 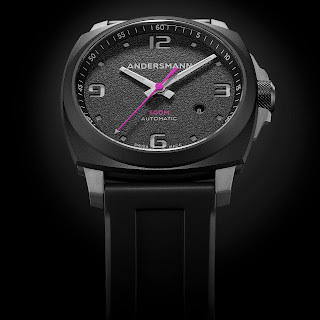 How about that pink seconds hand?! 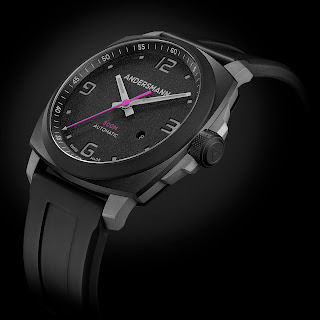 Actually, it was specially designed with Valentine’s day in mind, but I think it’s hot anytime of the year! Please follow the link embedded, below for more on the Andermann Classic. 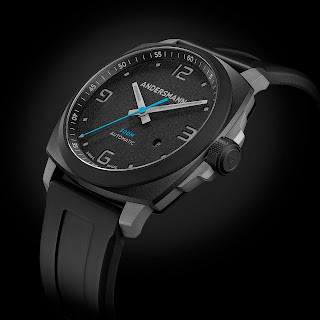 Follow the link HERE to read my in-depth review of the Deep Ocean 3000M.